There is one unusual factory, where only robots work and these robots can be very useful for you when you try the RoboJack casino slot machine created by the Microgaming company. This video slot with 5 reels and 243 ways to win has one bonus game, but with five available options. The jackpot here is not bad either and has 25 000 coins in case you choose the highest coin bet per line. Playing this slot is also available on mobile devices for free on our site or for real money at Spin Palace mobile casino. Different people write ‘Microgaming play slots for fun no download’ and have the wide choice of games with various themes and features. There are fans of futuristic- and space-themed pokies too. If you are one of them, you will like the RoboJack online slot. The Wild symbol is the Game Logo icon, which can replace all non-special symbols to form winning combinations. The Logo Wild symbol is also the jackpot icon. 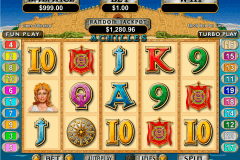 RoboJack belongs to slot machine games with bonus rounds, where Scatter symbols have the crucial importance. The Dollar Safe image is the Scatter icon here and three or more of them will start the Free Spin Bonus feature. At the beginning of this feature, you will see one of five robots, which have special powers and it will define the number of free spins and their extra features. However, you have the chance to try again and choose another robot. So, the Blue Robot will allow you to play up to 60 free spins and it will become the Extra Wild. The Violet Robot symbol is the key to up to 40 free spins and Scatter prizes (up to 10x multiplier of the total bet). The Green Robot of this casino slot will award you up to 20 free spins and 1 completely Wild reel for a spin. The Pink Robot is very valuable because with its help you can get up to 65 free spins and two of them on the reels will give you 8 additional free spins. The Green Robot with the 3x multiplier words on it will give you up to 50 free spins at the 3x multiplier. 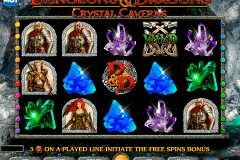 These free slot games free spins no download can award you with up to 90 000 coins. 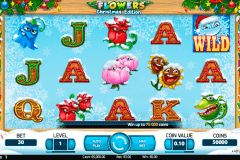 Video slots for free with such multiple features on the RoboJack one have become favourite games for many players. The necessary atmosphere in the RoboJack game create 5 different robots as well as the chest with gold, the dollar safe, the electric machine, the sphere, the game logo and A to J card symbols. 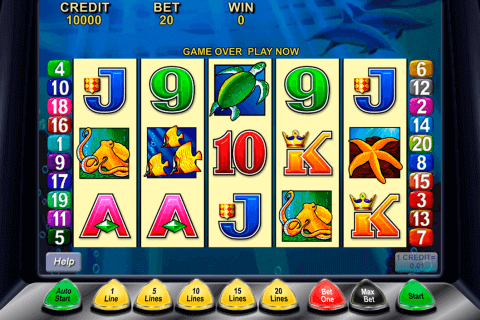 Try the RoboJack slot from Microgaming at the best real money casinos in New Zealand and you will not be disappointed.